Is Sushi A Health Risk? 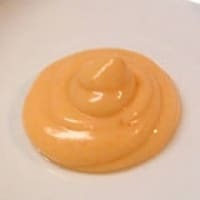 This is a simple sauce that can be used to dip your maki sushi or used to make a spicy roll of your choice (spicy tuna roll anyone?). The Sriracha offers a touch of sweetness that counterbalances the spiciness of the sauce. While regular old mayonnaise will do, if you can find the Japanese Kewpie brand of mayonnaise you won’t be disappointed with the result. Mix all ingredients together and blend well. It’s ready to serve! Easy, right!? Gold plated sushi? Are you serious? The Tokyo Food Page is a large repository of general information about sushi, restaurants, recipes, and Tokyo! Catalina Offshore Products offers sushi quality seafood over the internet to retail consumers now.